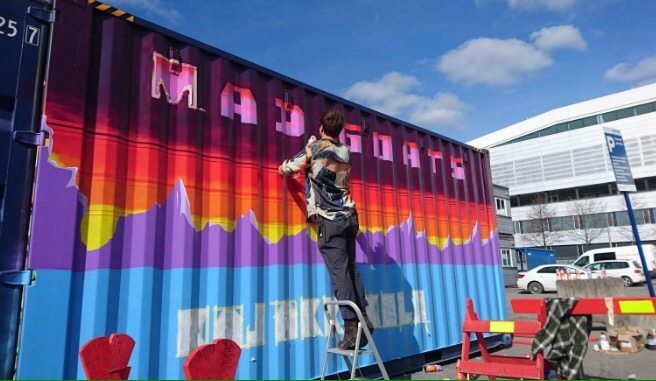 MAD GOATS ~ A True Dirt Bag’s Kajakkskole. 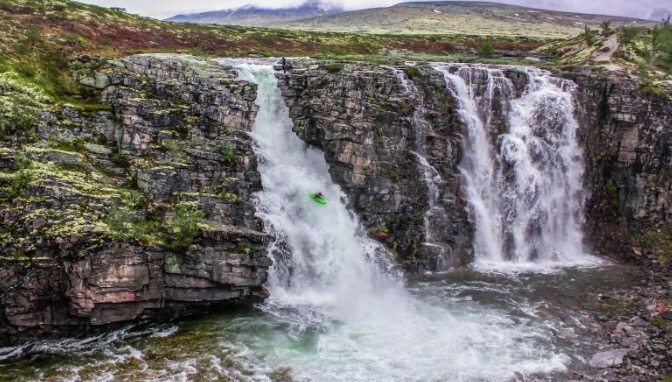 by Tomas Hannson | DBP MAGAZINE ONLINE The World's Best Free Whitewater Publication. 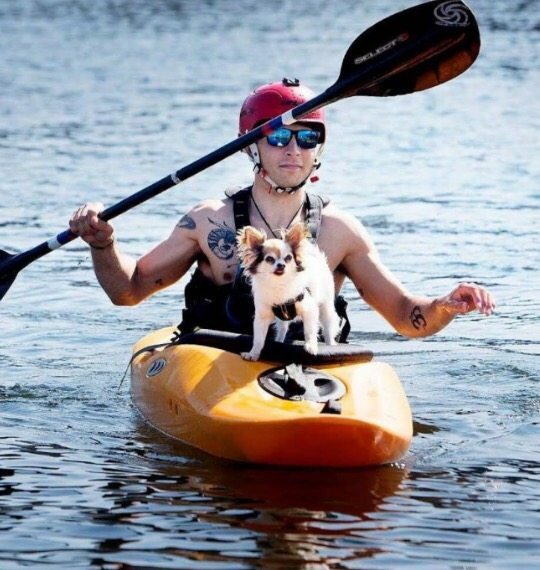 So how did Mad Goats Kayak School come about? It’s a long and exciting story of love lost and love found, the ups and downs, and the highs and lows; but most of all, it is a story about creating a life worth living, striving towards your goals and creating an authentic business, which represents all your values, ethics and higher self. Wild Goats have the right set of characteristics that we believe are important as a kayaker: They are strong, funny, adaptable, agile and tough. If you can draw upon these attributes, you will not only have a phenomenal experience kayaking, but also a phenomenal life. Mad Goats Kayak School started up last year in Oslo, Norway. 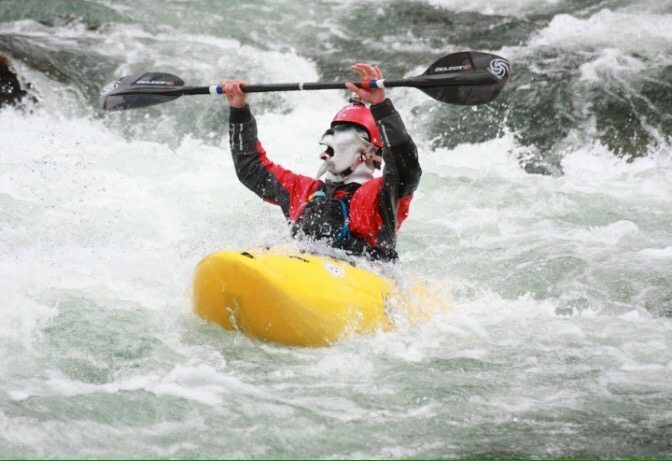 We originally started out with the aim of only teaching River kayaking, but as we all know river kayaking isn’t exactly a mainstream sport, and quite possibly never will be. Anyway, so we decided to add sea kayaking to our agenda and yeah, boom, wow it was a good decision. Oslo Fjord is a great place to sea kayak, especially in the summer months. There are many beautiful islands; the water in relatively warm and it is sheltered from large swells and wind. Since last summer was such a success, we have been working really hard throughout the winter, creating a new webpage and booking system. 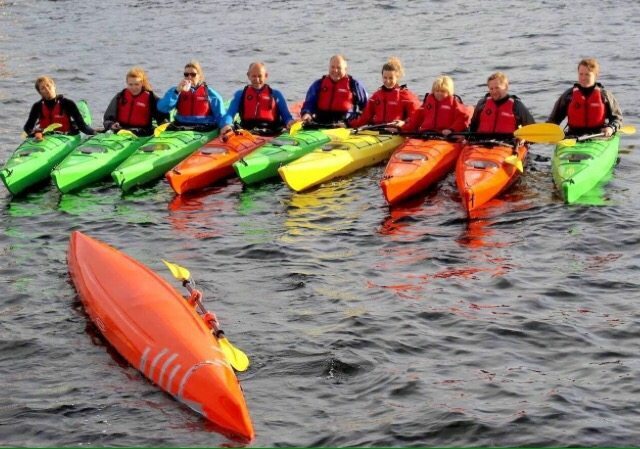 We have also set up a guided sea kayak tour around Oslo Fjord and added a new Norwegian Paddling Federation sea-kayaking course – the Teknikkurs. We also got super lucky and were granted permission to rent a spot down beside the Oslo Opera House. This area is prime real estate, I’m talking as central as you can get. Thousands of people will be walking past our funky kayak container daily. 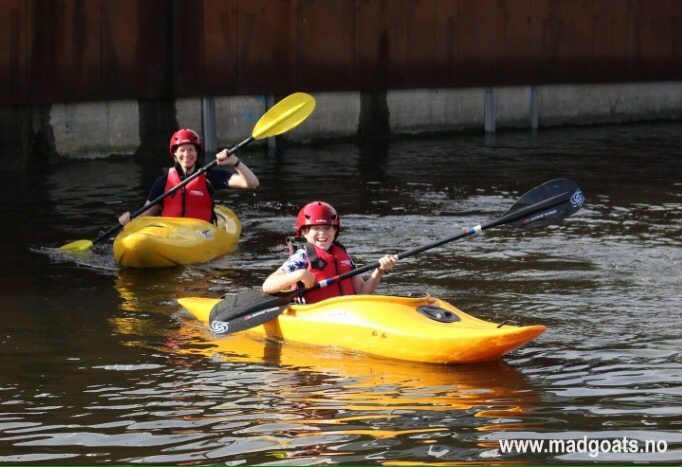 THE SERVICES WE PROVIDE- We offer river and sea kayaking courses and trips around the Oslo area. There are some fantastic lakes and easy rivers to start you off on your river kayaking journey. As for sea kayaking: Oslo fjord is sheltered, has many beautiful islands and the water is relatively warm – for Norway at least! One of our most popular trips is the guided Akerselva River trip. This river runs through the heart of Oslo, through a 500m tunnel under the city central, and out into the Oslo Fjord. It is a truly amazing experience and great for beginner kayakers. We mainly teach the Norwegian Canoe Association’s Våttkort courses, which include the Introkurs, Grunnkurs and Teknikkurs. 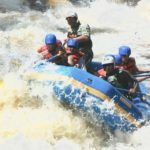 We also cater to business team building, bachelor parties, private kayak instruction and voluntary work for the disadvantaged. OUR VISION- In addition to running a kayak school, our dream is to use kayaking to build a healthy active and fulfilling life. We accomplish this through challenging and exciting activities that can help people positively change their lives. For us, paddling is about having fun. We also believe it can help people, whether it is to feel an affinity for nature or reconnecting with your true self. Our goal is to encourage people to channel their energy toward a positive activity, rather than a something negative. We hope this will create a happier, kinder and more inclusive society. Kayaking can get people out of their comfort zones, it forces them to put aside their differences and work together as a group. Society needs people to come together instead of always categorising, judging and comparing each other’s material wealth. We hope to continue to share our passion, something that has helped us become the people we are today. We would love to get the opportunity to work more with the rehabilitation of “criminals”, disabled youth and the integration of immigrants into the Norwegian society. Mad Goat instructors love to see people push their limits and develop. When someone manages to perform the Eskimo roll for the first time, they are so incredibly happy; this bounces back to us and makes our jobs so worthwhile. We believe it is important to remember how it felt to go kayaking for the first time: all the fear and frustration. This allows us get on the same level as our students; an empathetic instructor is a better instructor. 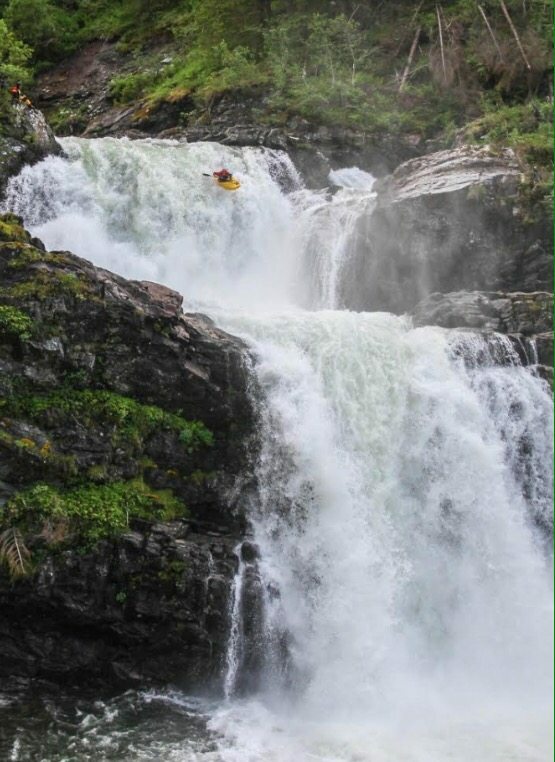 The first time I paddled kayak, I rolled around before even making it out into the current. Everyone has to start somewhere. GOALS FOR THE FUTURE- The Mad Goat Kayak School’s goal is to continue to spread the joy of kayaking into people’s lives. 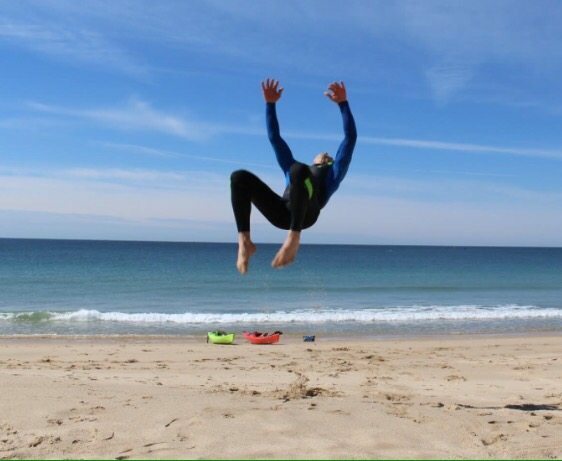 Our plan is to expand into the international market: The first step is to start organising river and sea kayaking trips down in Portugal during the European winter (we are not far off from accomplishing this). Another dream of ours is to buy a mini-van and start taking international clients on kayaking road trips around Norway: We envision a fully catered trip including transportation, food, equipment, accommodation and everything else required for an epic kayaking mission. 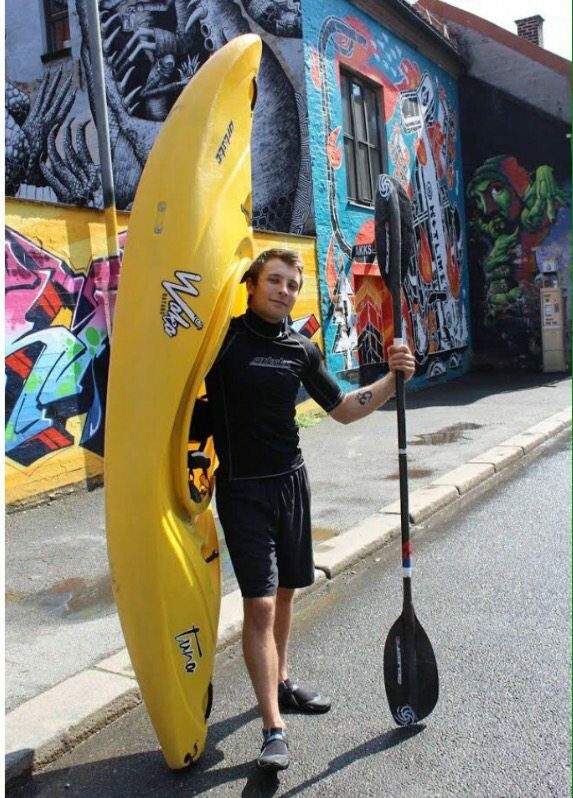 Mad Goats kayak school also wants to be as sustainable and environmental as possible; when our funds allow it, we would love to purchase wooden kayaks and convert our transport fleet to electric. Lastly, it is very important for us to continually train towards becoming better kayak instructors; this is why we keep our rescue, 1st aid and kayak qualifications up to date, and always strive to the highest level of instructor training. They also have a highly entertaining and informative YouTube Channel… CHECK IT OUT!